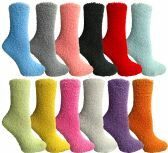 12 Units of Womens Fuzzy Snuggle Socks , Size 9-11 Comfort Socks Orange With White Heel and Toe - Womens Fuzzy Socks at low wholesale prices. 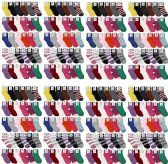 alltimetrading.com offers Womens Fuzzy Socks at bulk discounted prices. SKU: 1922609 Free same day shipping.